I've not really had time to update the blog recently so will be upping the content again. 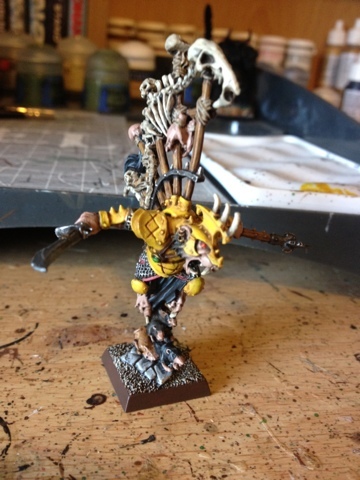 I finished a quick paintjob of Queek for a game on Saturday vs Ogres. I won the game. Both lists were far from optimal as you can imagine having 40 of Queek's Stormvermin. It took about and hour and a half to get it done and it's just a reversal of the Stormvermin colour scheme. Think it works but I hate having to rank Queek up. It's a pain. Looks really good buddy, loving the fluff hammer! I think I'm play Karl Franz at the weekend with my Lizards, if only he was just as fluffy!